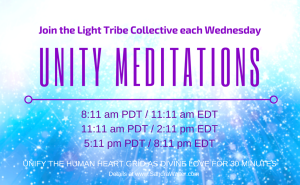 Gatekeepers, Gridworkers and Lightworkers: We unite each Wednesday for a weekly Unity Meditation to assist with healing, empowering and balancing the HUman heart grid. Let us unite our collective intentions for peace, harmony and walking through this passage with ease and grace. 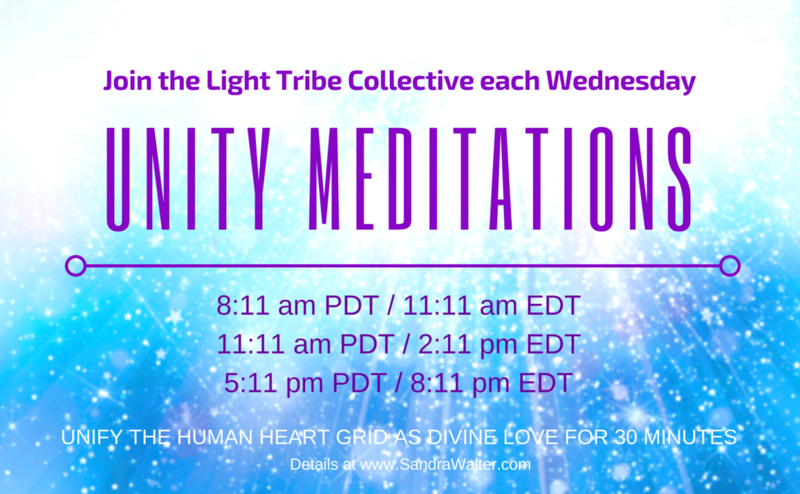 We provide three windows each Wednesday to create collective triggers for the highest Ascension timelines. If you are available, we ask that you join us. There have been reports of spontaneous healings, activations and a deep sense of peace during the meditations. Gatekeepers are holding the doorways open during these passages to assist your Ascension. We are entering a heightened experience of the splitting of realties. Let us unite with the intention to amplify the highest Ascension timelines for all. Highest interests of all concerned, best outcomes possible. Your Higher, Christed Self will work through you, through all of us with this intention. Just surrender and let the Presence take over. Join from wherever you are during these windows. Three 30-minute windows: 8:11am PDT, 11:11 am PDT, and 5:11pm PDT. Connect with the HUman Heart Grid, Gaia’s crystalline core, the Crystalline Grid, SUN, and Great Central Sun. Be outside on Gaia if possible with your crystals. Focus on Pure Source embodiment, or use the guided Christ Light Activation meditation for expansion (many are having amazing results with this – free on youtube or mp3 via download link below). Let us unite in peace with the intention to assist all beings embracing Unity/Christ Consciousness.